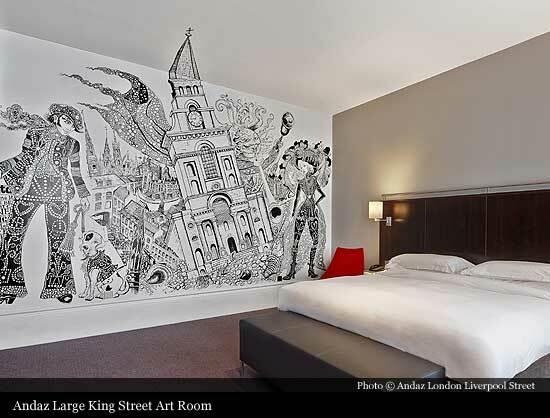 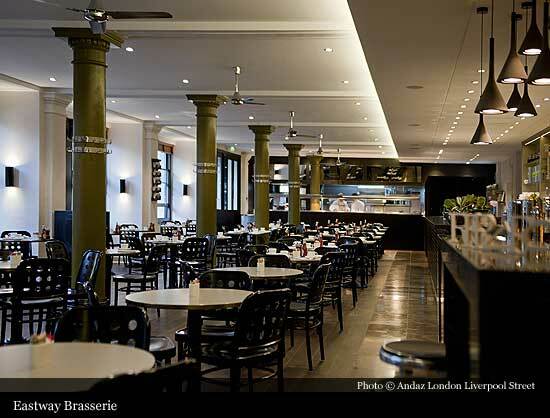 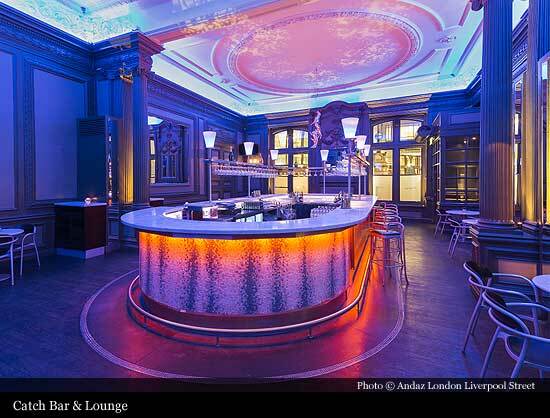 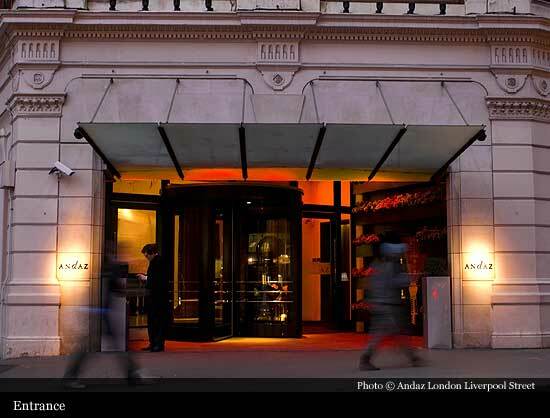 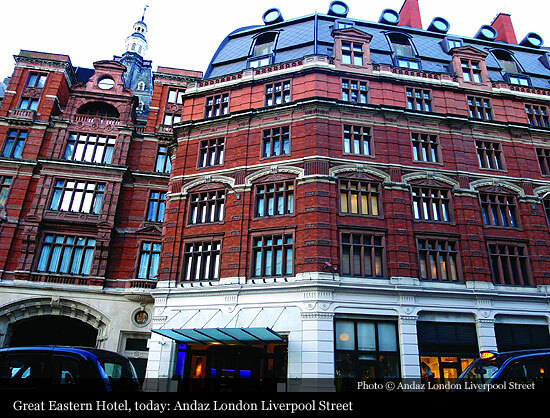 Located in the heart of vibrant East London at Liverpool Street station, Andaz London Liverpool Street hotel was originally opened as the Great Eastern Hotel in 1884, as one of London’s railway hotels. 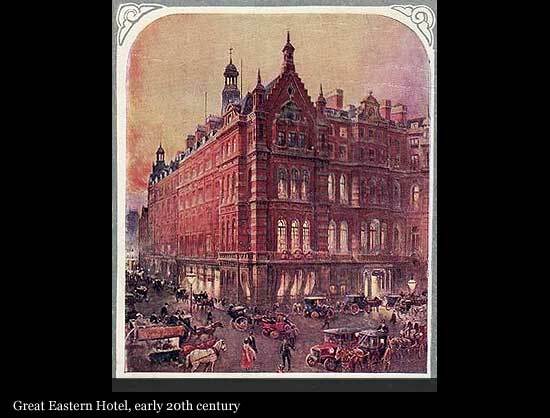 Beautiful redbrick Victorian building was designed by the brothers Charles Barry, Jr. and Edward Middleton Barry. 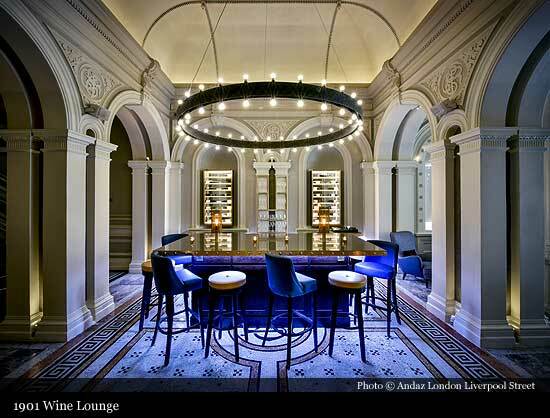 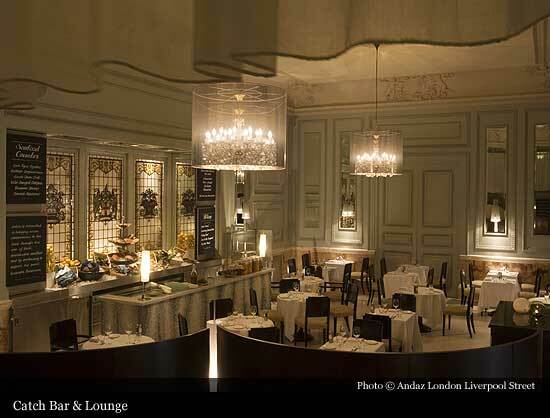 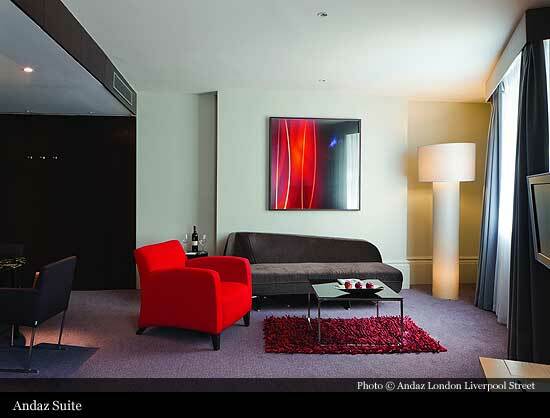 Today, Andaz London Liverpool Street is a 21st century masterpiece. 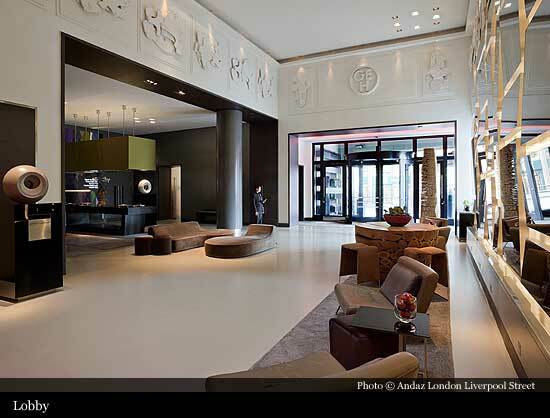 Traditional and contemporary features blend seamlessly throughout the hotel with 267 beautifully appointed, spacious and modern guest rooms & suites, 6 restaurants & bars and 15 private dining & event spaces. 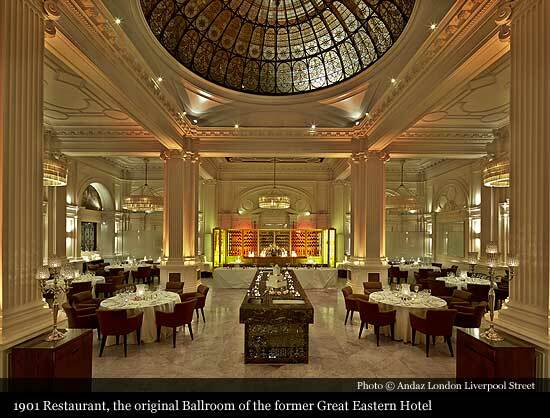 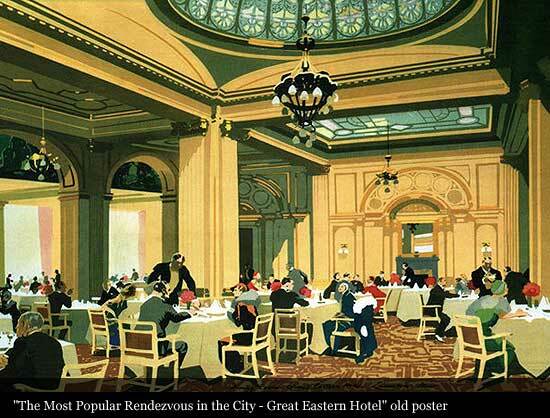 1901 Restaurant was once the Ballroom of the former Great Eastern Hotel, while concealed by heavy, studded doors and accessed via a winding staircase and a spacious mahogany-panelled anteroom, the Grecian-style temple is perhaps Andaz London’s best-kept secret. 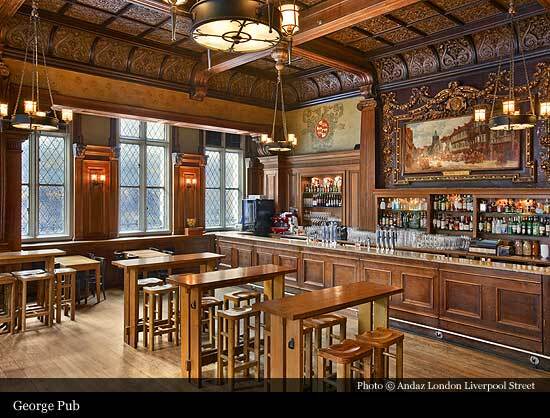 Imposing grade I listed room dates back to 1912, when it was used exclusively by Freemasons of the city. 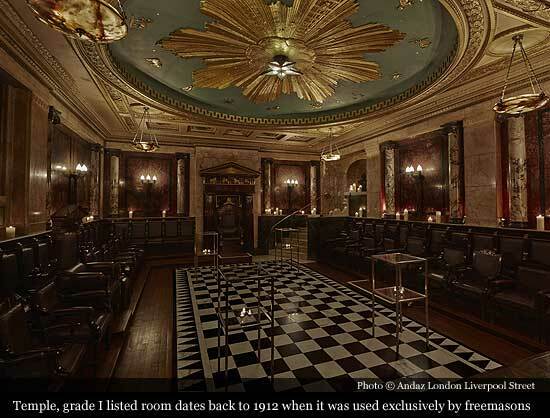 The century-old room was considered one of the grandest Masonic temples of its time, as its marble columns & splendid zodiac ceiling testify.